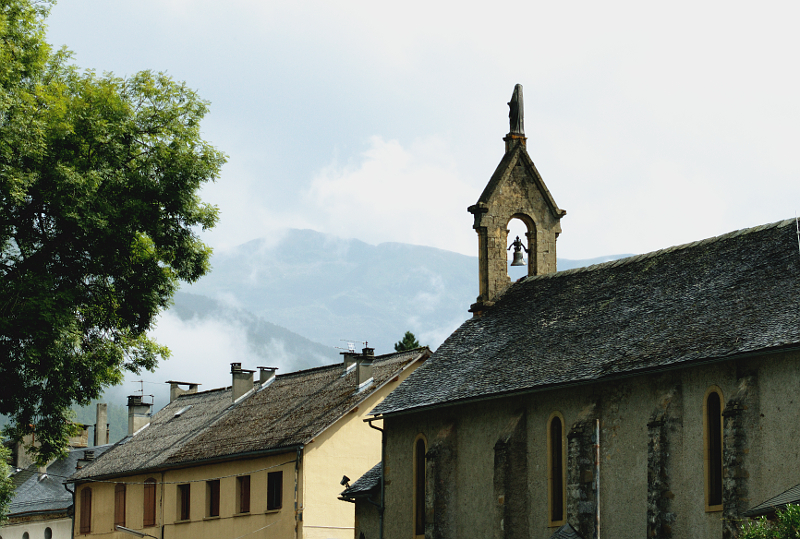 There’s a little village in the Pyrenees called Biert. The local shop is only open in the mornings, but in the next town there’s everything from your staples (butcher, baker and grocer) to a shop selling organic baby wipes and free range pumpkins. The town of Massat, surrounded by mountains. A few years ago my dad’s cousin Michael opened a Bed and Breakfast in the south of France. There’s also a gîte at the end of the garden which you can rent. Always one for nepotism, I convinced my friends that it would be a lot of fun to spend a week there, and they all yielded to my slightly romanticised promises of medieval towns and wine by the river. Though, medieval towns and wine by the river is exactly what we all got- and since we shared most of the costs and cooked most of our own meals, it cost less than £150 per person for the week (plus £100 for plane tickets from London to Toulouse). We hitchhiked successfully for the first time, explored the beautiful (and sleepy) medieval towns of Saint-Lizier and Seix, almost went kayaking (the owners disappeared down the river just as you arrived), swam in the bone chillingly cold river that flowed down the mountain and past the gite, ate a lot of cheese and sausage, did plenty of hiking, and stumbled across a festival with firecrackers and giant papier-mâché housewives in Toulouse. There was also a very vocal cat who broke into the gite multiple times and on one occasion fell into the swimming pool trying to escape the family dog. You assumed it was one of Michael’s cats (they had 6 rescues at one point) until he informed you that he had never seen it before and had no idea where it had come from. It stole the last cinnamon bun from the table when you weren’t looking, and had breath like a crocodile with an intestinal obstruction. We made the trip just before we all set off for university and jobs and various other life commitments that would spread us across the country. More information about Michael & Marcia’s B&B and Gite can be found at www.maisonesmeralda.eu. Does anyone know what you call the cousin of one of your parents? Cousin once-removed? The place is fabulous nonetheless. Bonus pictures: The worst start to a game of scrabble I’ve ever had, plus Oliver as Jesus. Next Don’t fear the world: Exploring the Bolaven Plateau by Motorbike, and Wildcamping in a Timber Forest. Always incredible, La Belle France! Looks like fun, except for the bone chilling river part. Sounds perfectly wonderful except for the scrabble.